D & D is a NY storm repair and remediation company providing 24 hour emergency storm service. High winds with heavy rain can cause significant damage to agriculture and often leave uprooted or destroyed trees. These present serious problems for your home and landscape. 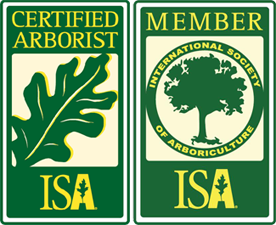 After a storm like the Halloween freak snow storm o f 2011 you should have your trees inspected for hanging and broken or cracked limbs. D & D Tree and Landscaping has the manpower, equipment, and experience to handle any and all your storm damage repair work in Rockland County, Orange County, and Westchester County NY. We also serve north Jersey. Call us if you need a Bergen County NJ storm repair company or if you are located in Passaic County NJ. We can be reached for a free consultation at (845) 627-2555 or through or inquiry form on our contact page. 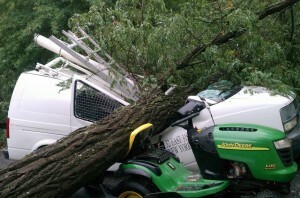 Trust your storm damage repair and clean-up to the specialists at D & D Tree and Landscaping. D & D is a Rockland County storm damage repair company with 33 years of experience, serving lower NY state in Rockland County, Westchester County, and Orange County and north NJ in Bergen County and Passaic County.